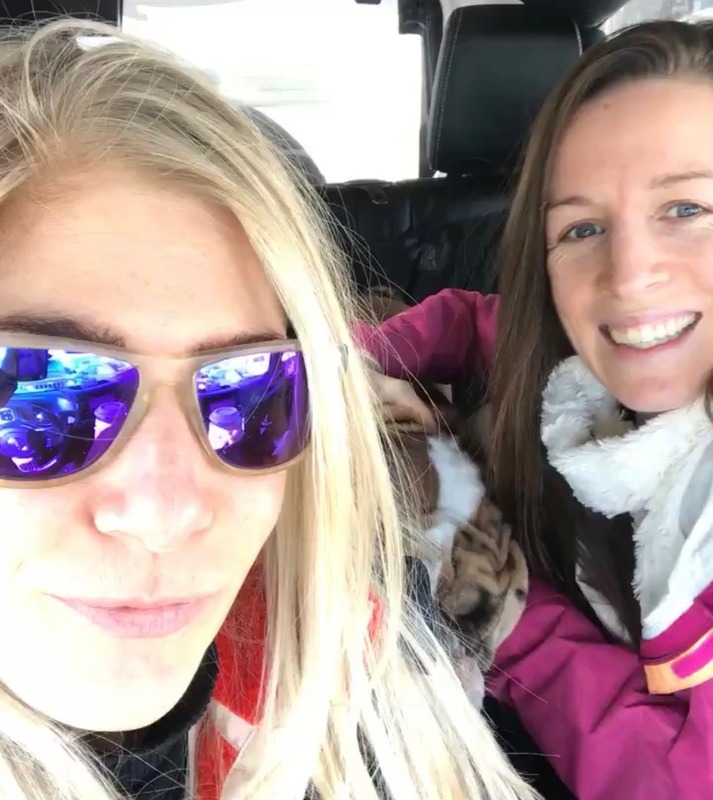 Last year, our very own Katy, Brittany, and Gracie Jane took an epic road trip. These three are always a pretty unstoppable team, but when they decided to drive 1,735.1 miles (yes, that’s the exact estimate from Google Maps) from our studio in Villanova, PA to Boulder, CO — where we just opened a new studio earlier this year — there was no doubt that they’d take their unstoppable-ness to a whole new level. More specifically, they took it to the highway. Don’t believe us? Check out the evidence, courtesy of Katy’s trusty camera roll. How cute are these bulldog (literally, for some) faces? 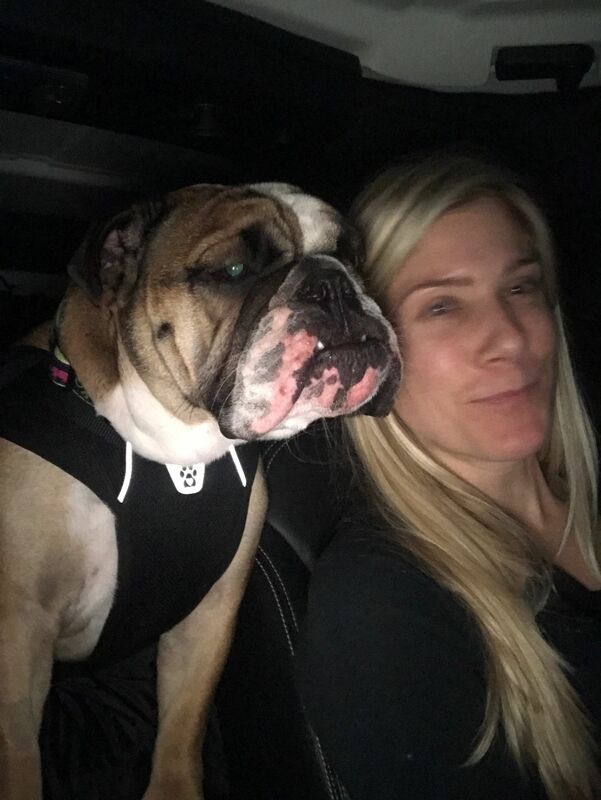 Honestly, it’s unclear why you would choose to take a road trip with anyone but this dream team… but since Katy and Gracie are busy rockin’ it in Boulder and can’t exactly make time for tons of travel these days, we thought we’d pull together some bulldog-approved road trip tips that will help you maximize your summer travel. Hitting the road with great tunes and great friends is kind of the ultimate joy. And we want you to have all the joy. 1. Make a killer playlist. This is pretty much our specialty, so look no further than our last music recommendations post or our Spotify channel for ideas. If you want to get fancy, assign different musical themes for different legs of the trip — “Madonna Through Maryland!” or “Peppy Pop on the PCH!” — or ask each of your fellow travelers to design a playlist for a different day. 2. Plan for active stopping points. We love a rest stop Auntie Anne’s as much as anyone, but we also know that you’ll feel a lot better if you plan at least some of your driving breaks around moving your body instead of indulging all of your junk food cravings. When researching your route, look for hikes or walking trails off the main roads, and prioritize tourist destinations that will allow you to stretch your legs. If all else fails, find an outlet mall close to the highway with plenty of long sidewalks so you can get some steps in! 3. Explore along the way. We could get really cheesy here and talk about how the journey is just as important as the destination — oops, guess we just did! — but really what we want to encourage is a healthy sense of adventure at every point of your travels. Build some buffer time into your itinerary so you can detour from the highway and spend an hour or two exploring areas along the way. Try new foods, meet new people… you catch our drift! 4. Stay hydrated. This advice is pretty boring and biological, but it’s also extremely important. It’s easy to get out of your normal wellness routines when you’re (literally) on the road, but if you show up to your final destination dehydrated, you’re going to feel pretty crummy. Fill a few reusable bottles for the road, stash a carton of store-bought water bottles in the trunk, or set an alarm on your phone to ensure that you’re stopping every few hours to refill. 5. Don’t research your stops ahead of time. Type A pals, resist the urge to panic. Everything is going to be just fine. We suggest that you go ahead and plan your route and general itinerary pretty specifically — including the stops you’re going to make along the way — but that you don’t fall down the Internet rabbit hole learning about what you’re going to experience when you arrive at each point. Wouldn’t it be cool to soak it all in right there in the moment, with no prior expectations? 6. Track your progress on an actual map. Naturally, Google Maps is where it’s at for actually navigating your journey, but we highly recommend that you throw a paper map and some colored pens in the car, too. Tracking your travels as you go — including the unplanned detours — and making fun notes and doodles on the map itself will ensure that you have one more physical memento of the experience. 7. Put down your phone. If you’re the passenger, see how long you can go without scrolling mindlessly on your phone. Our devices make great DJs and navigators for road trips, but they can also offer distractions that take away our ability to enjoy what’s happening out the window. 8. Take bulldog with you. 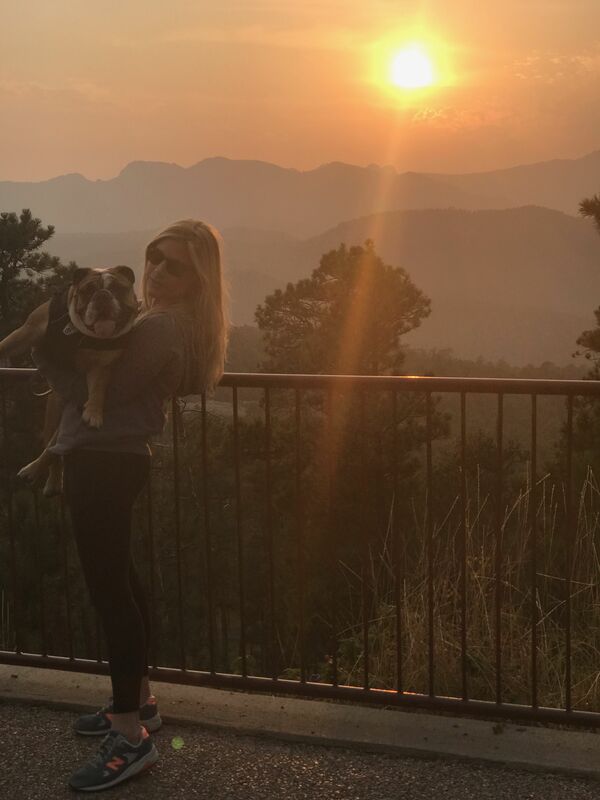 Yes, yes, Gracie Jane herself is definitely too busy to join you for your summer travels (sorry), but you can take the spirit of the whole bulldog fam with you by streaming online classes! 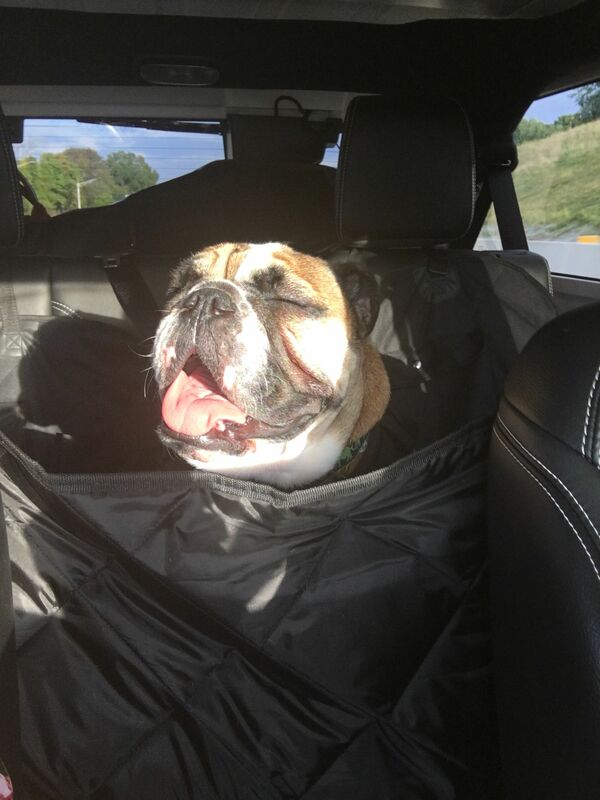 It’s a great way to stay active while enjoying your trip and to experience the awesomeness of bulldog yoga with your favorite driving buddies. 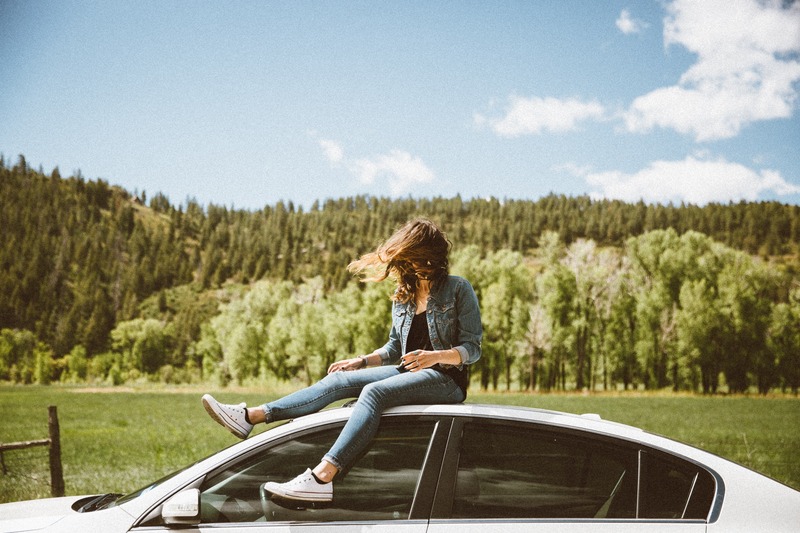 What are your best suggestions for a great road trip? Tell us on Facebook + Twitter!